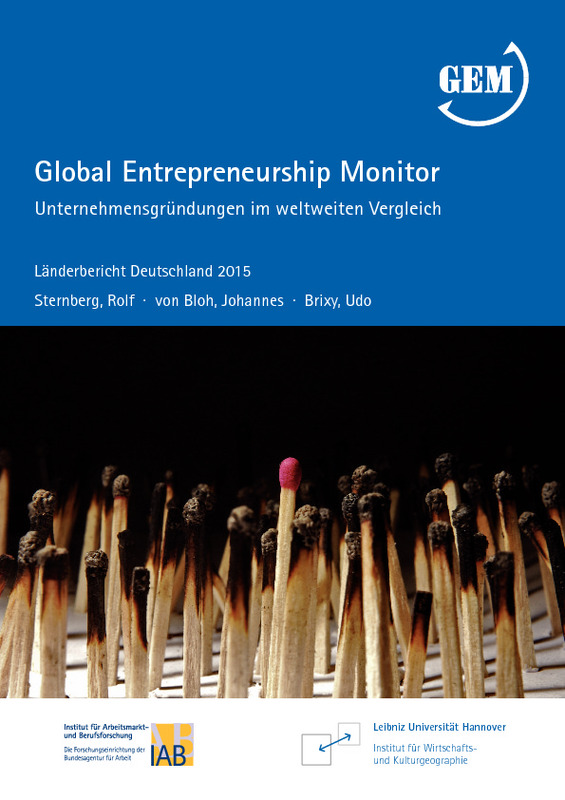 Germany has a relatively low level of entrepreneurial activity, even when compared with other developed countries. 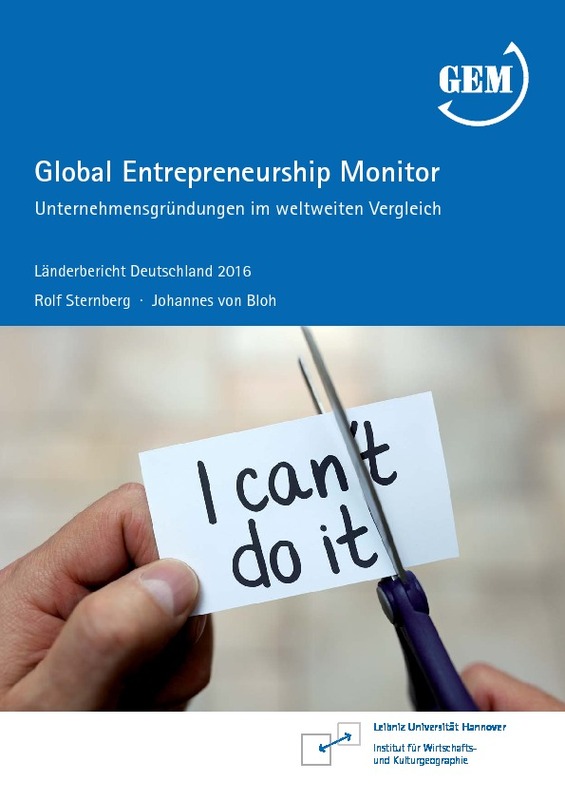 This can be attributed to the lack of entrepreneurial spirit among adults (only half of adults say entrepreneurship is a good career choice), rather than any shortage of support from the government. In 2015 the total early-stage entrepreneurial (TEA) rate fell to its lowest in five years – even though the percentage of those who expect to start a business in the next three years grew to the highest it’s been since 2002. Compared to most other European countries, fewer Germans identify good business opportunities or believe they have the capabilities to carry these out. The country also ranks among the top six in Europe (of 24 countries surveyed by GEM in 2015) when it comes to the fear of failure expressed by adults with respect to starting a business. Despite this, the level of opportunity-driven entrepreneurship is high – 3.7 times more adults start a business to pursue an opportunity, than out of necessity. One fifth of German entrepreneurs also expect to create six or more jobs over the next five years. In addition, unlike a number of other European countries hit by the Euro crisis, the number of SMEs in Germany rose from 1.87 million in 2008 to almost 2.2 million in 2014 while value-add from the sector was up 16% in the same period. The country has good physical infrastructure and support for entrepreneurs from the government, but has a lack of good entrepreneurship education and poor cultural and social values related to entrepreneurship. Germany is home to a high number of migrants and refugees. Germany has long welcomed migrant labour and with the recent influx of migrants to Europe over a million refugees had entered the country as of March 2016. 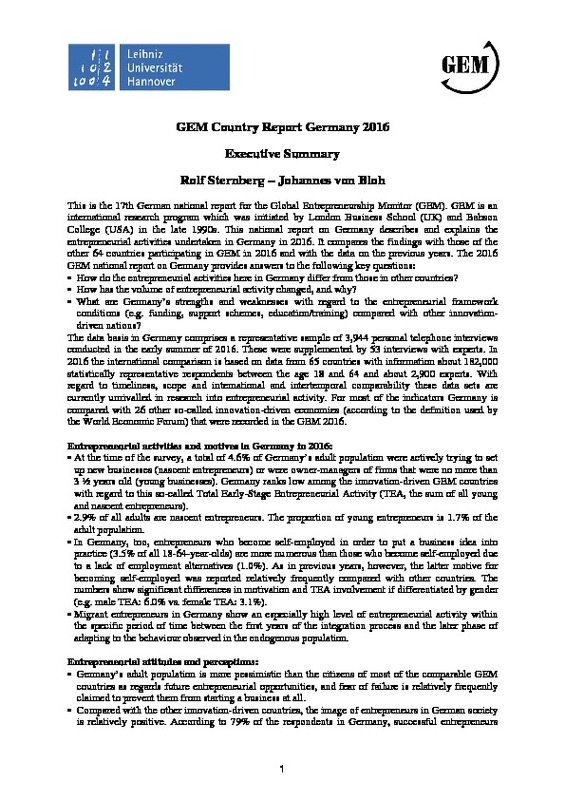 Migrant entrepreneurs are a valuable source of employment in Germany. A 2014 study by the Friedrich Ebert Foundation revealed that migrant entrepreneurs create 2.2 million jobs in Germany and that one in six businesses in Germany is owned by someone with an immigrant background. Importantly, migrants found about half of all start-ups in the country. The Netzwerk IQ’s Integration through Qualification programme is a countrywide initiative with regional nodes. Run since 2005, it is funded by two federal ministries, the Federal Ministry for Labour and Social Affairs, and the Federal Ministry for Education and Research. The initiative receives about €7 million a year. The programme provides information and support to immigrants, who often battle with language difficulties or with their work qualifications not being recognised in Germany. 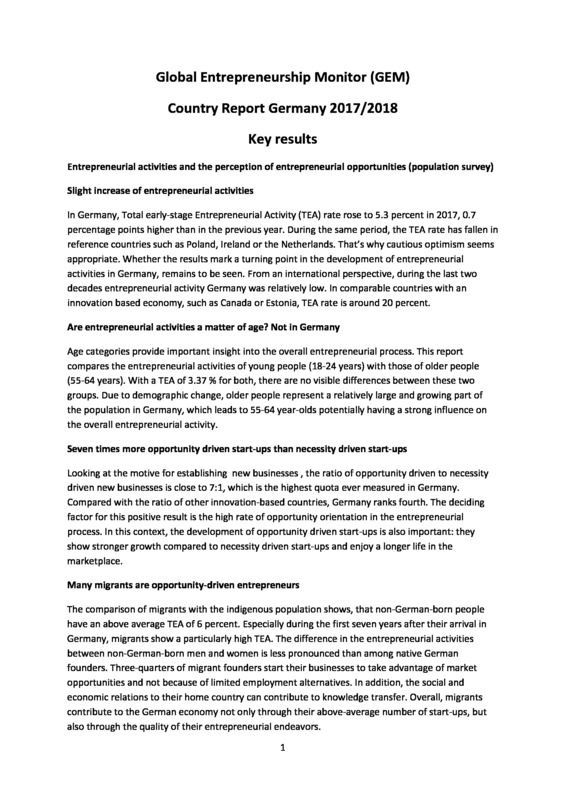 The idea is that helping them to source work and get started in entrepreneurial activities may help immigrants to integrate into the German society. Among other things, the initiative develops modules and curricula for language classes which can be adopted by companies and advice centres, and facilitates access to training opportunities. In addition, the initiative’s platform “We’re Setting up Business in Germany”10 provides prospective entrepreneurs with information in a number of languages on how to start a business. 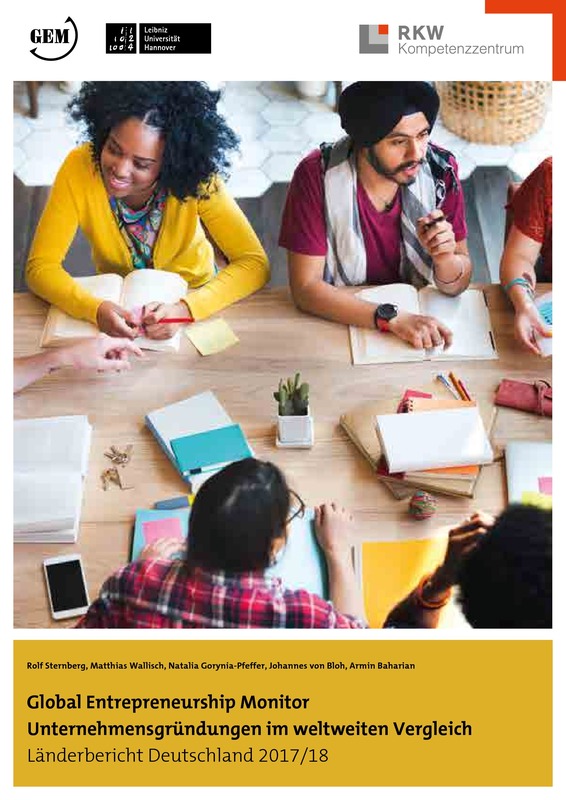 Complementing this, an expert forum on migrant economy associated with the initiative provides policymakers with insight into the current issues and developments relating to migrant entrepreneurship in Germany. Between the initial years of 2005 and 2007, IQ network supported more than 12,500 migrants to improve their work situation. Between August 2012 and September 2015 about 55,000 people used the programme to get help on the recognition of foreign qualifications.